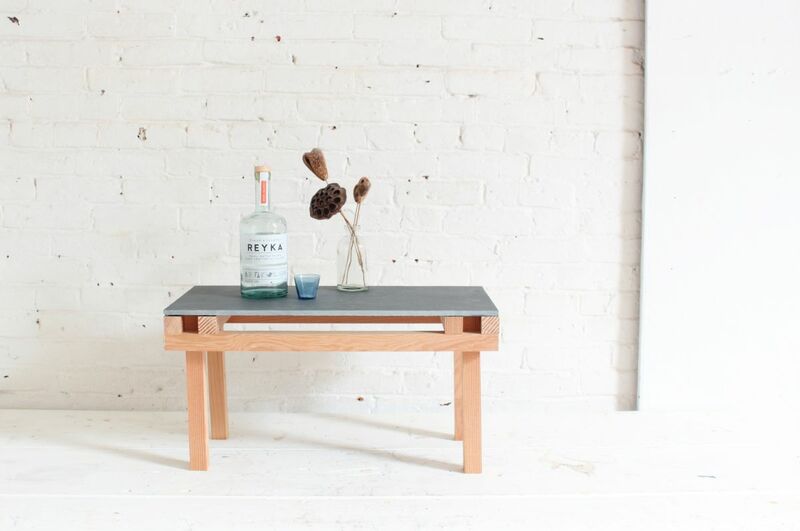 Looking for a furniture-making project for the weekend? Missing something in your den? 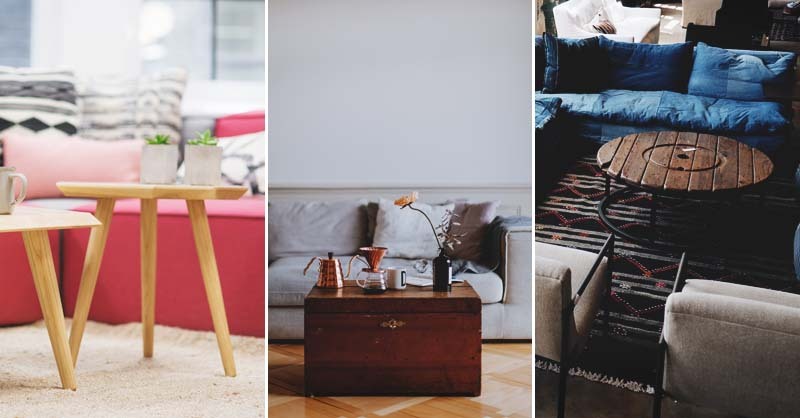 Your living room might need a bit of an update and that old out-of-date coffee table has got to go! 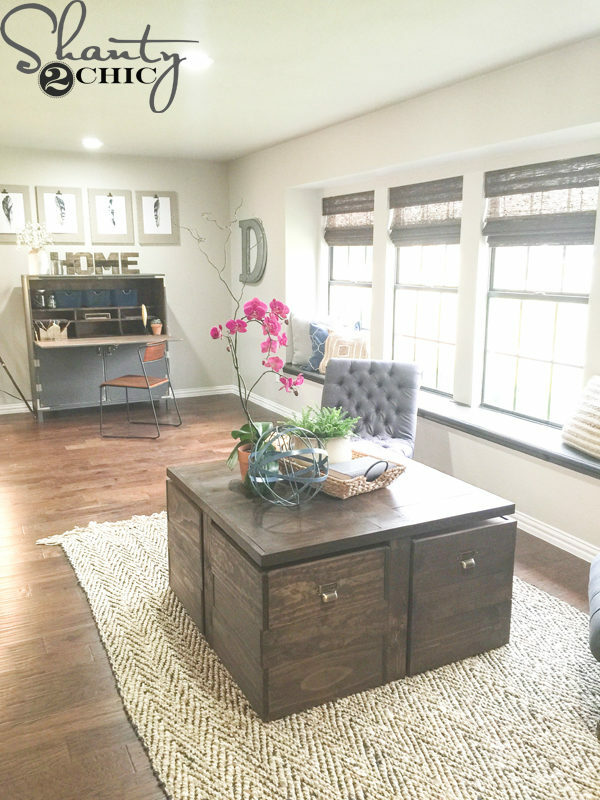 Building your own coffee table is rewarding and fun! 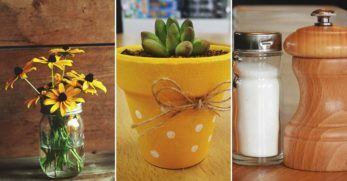 There are so many DIY coffee table projects out there that will walk you through the process step-by-step. You might feel that building a coffee table is something only professional woodworkers can do, but it's not true! Anyone can get it done with a bit of effort, patience and don't forget to smile! 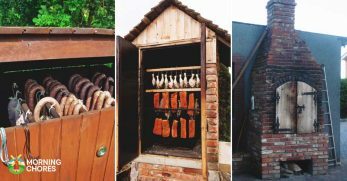 Whether you need something to match your farmhouse design or something simple and minimalistic there's a DIY project here for you. 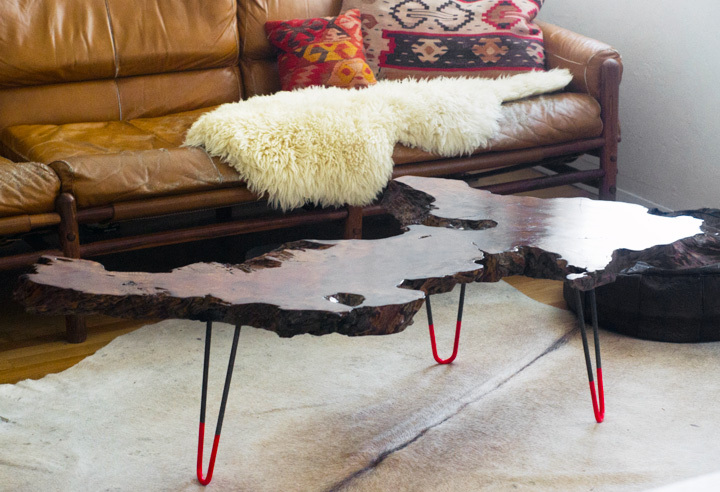 So let's take a look at 60 DIY coffee tables with form and function. 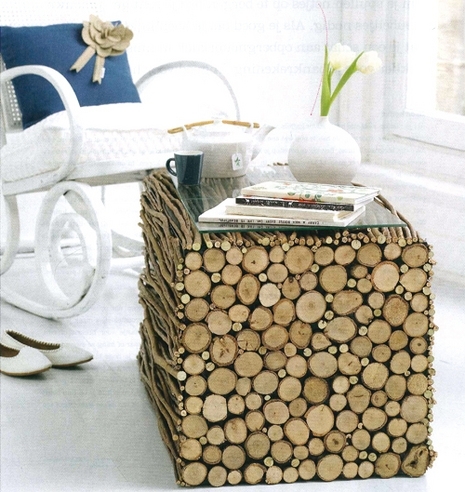 Create a natural-looking coffee table that is unique, interesting and will grab the attention of your guests. 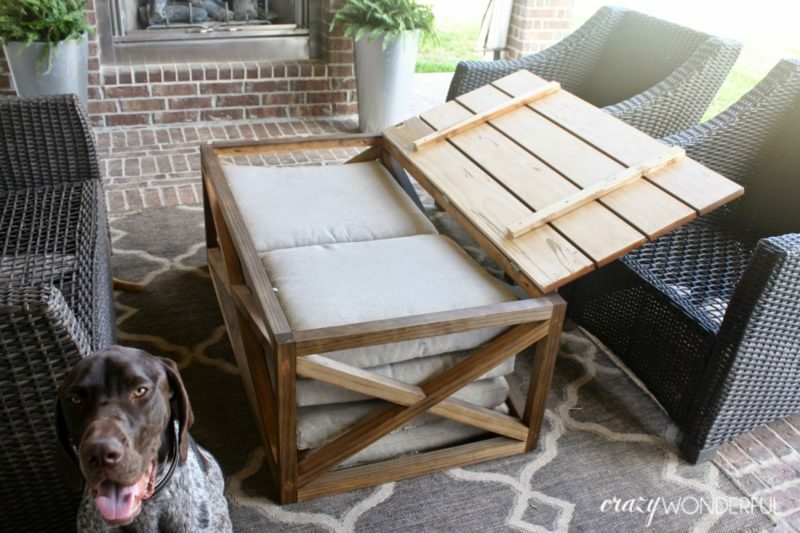 Another pallet project for you! 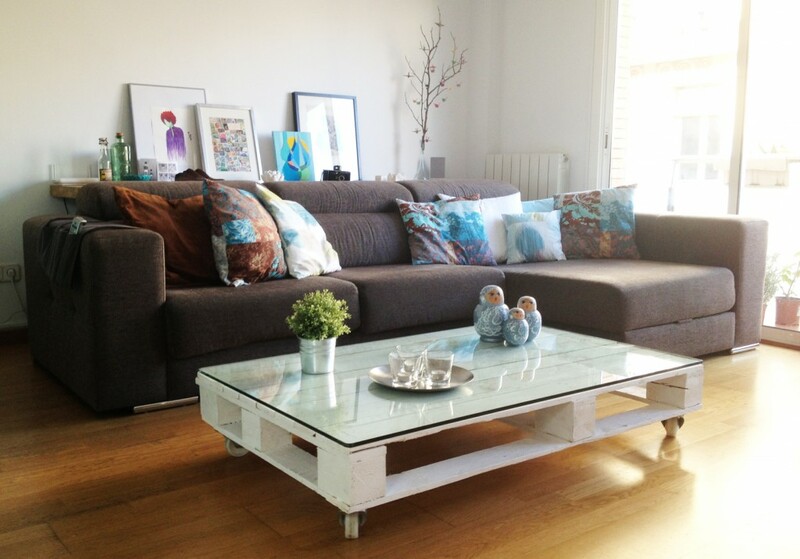 Turn a recycled pallet into a modern and functional coffee table that includes wheels for easy mobility! 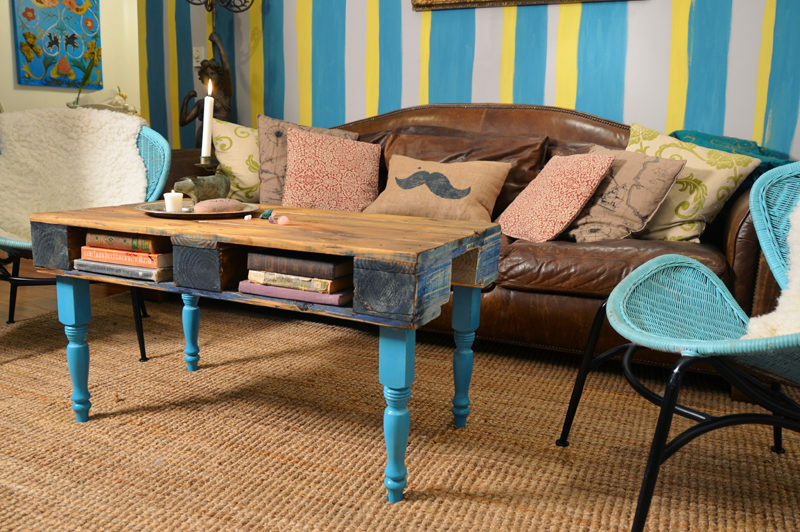 Polish up a beautiful slab of wood, add some retro hairpin legs and voila! A gorgeous statement piece that will add style to your living room! 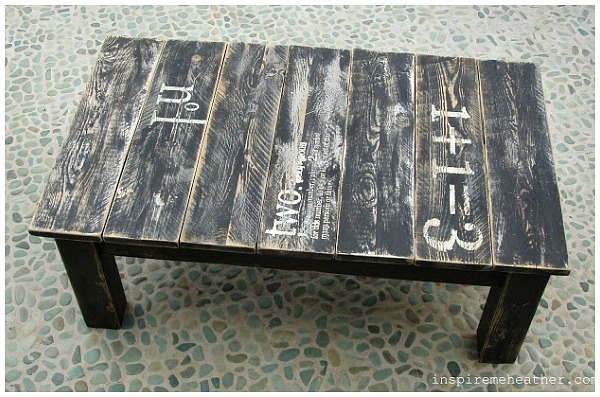 A large and in charge coffee table that has a cool and stylish industrial feeling to it. A beautiful wooden plank tops the pine bass. 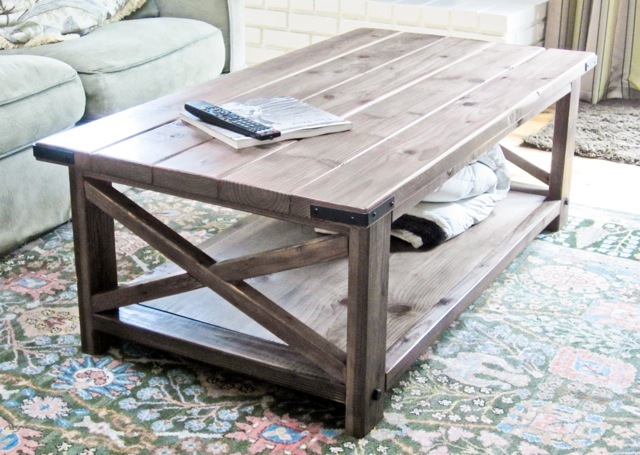 A great coffee table that you don't have to worry about the kids ruining! 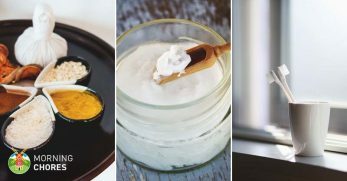 It's fun, functional and easy to make! 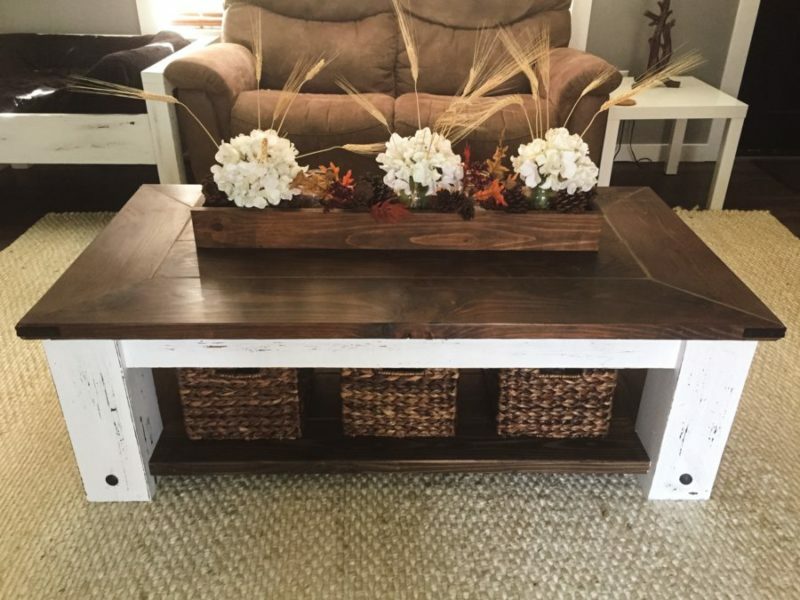 This coffee table is quick to make, looks great and will serve you well! It has a beautiful tile top and a minimal wood bass. Copper is a beautiful material with a lovely shine that will accent the colors in your wooden slab top. 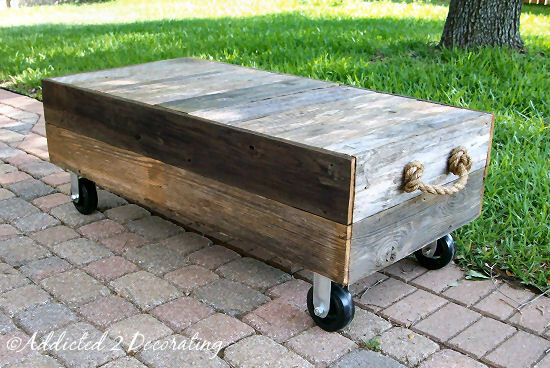 Another pallet coffee table with wheels, but this one has the addition of a glass top for easier clean-up and a different look. 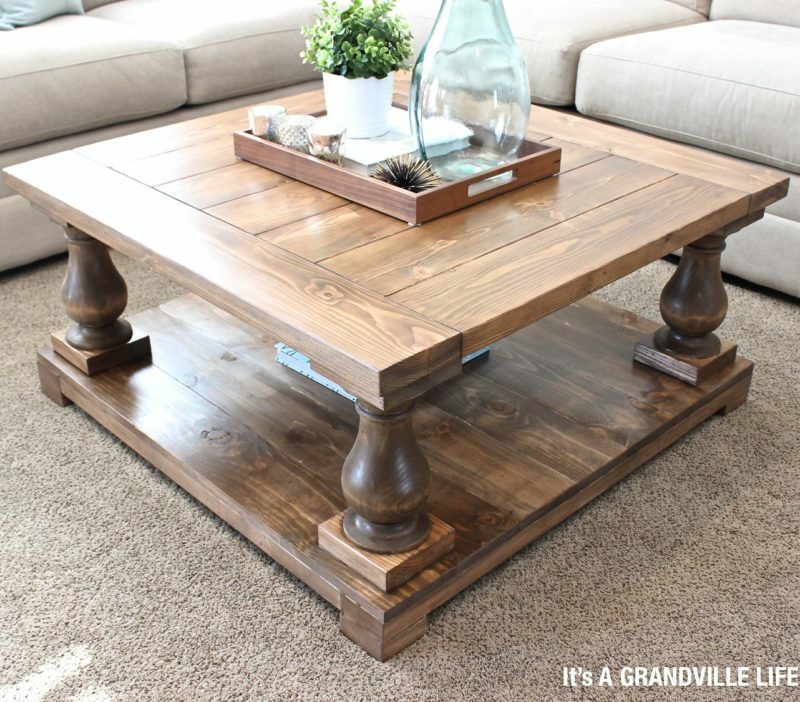 A chunkier coffee table like this could cost you more than a thousand dollars bought new! 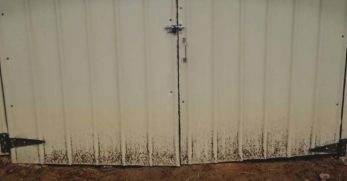 That's why you should DIY! Such a clever idea! Keep your herbs close at hand for easy picking so you can decorate your mojitos and spice up your life! 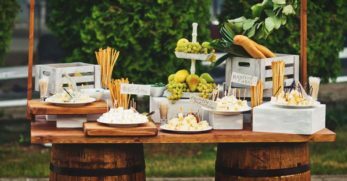 Factory cart tables can be expensive, which is why you should consider making your own! You'll be so proud of the result! 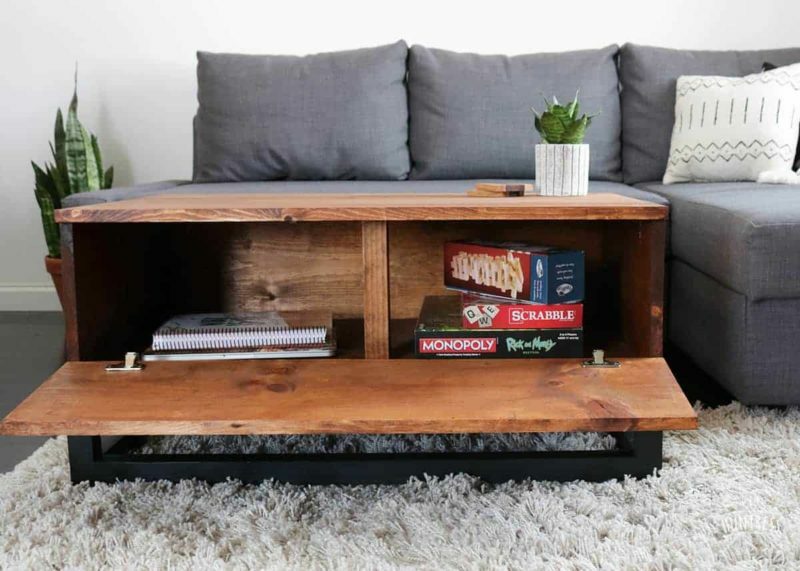 The drawers in this DIY coffee table are made out of old storage crates! 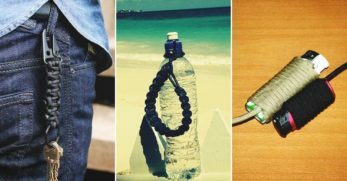 Reuse and recycle while staying stylish! 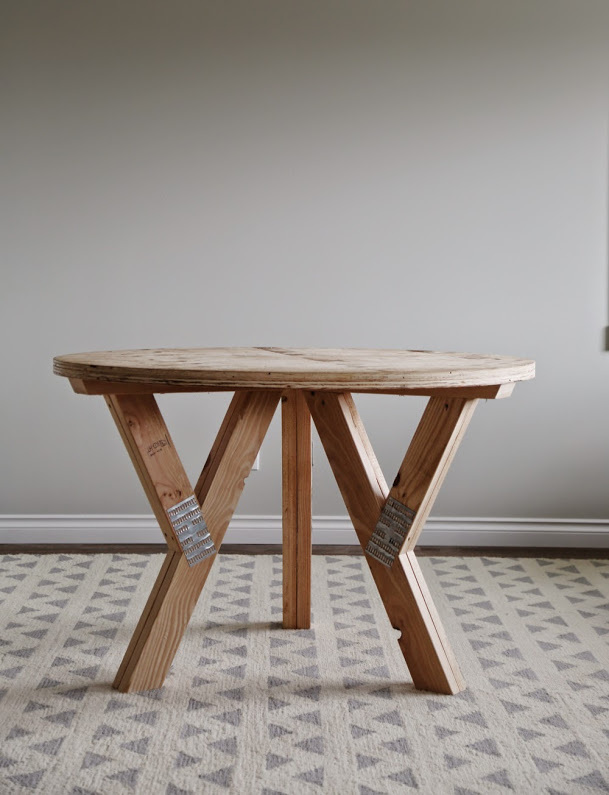 This charming antique table is an appealing build due to its antique look and practical use! The drawers have a space for labeling them and uses old pull ring hardware. 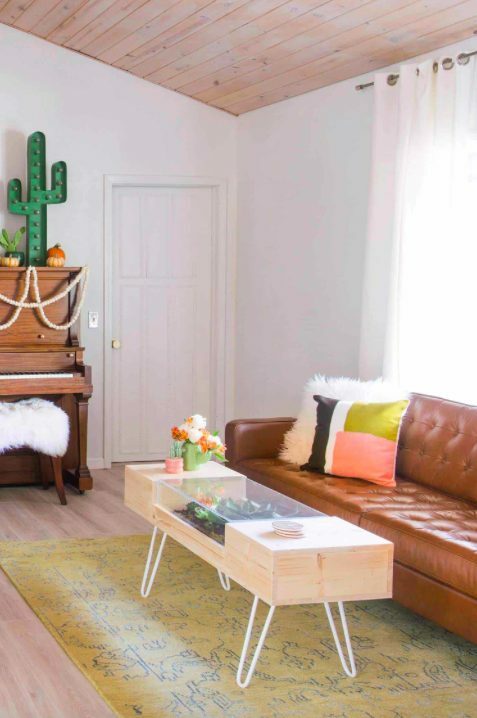 Okay, your friends may never believe you when you tell them you built this gorgeous coffee table yourself so I suggest taking photos along the way! 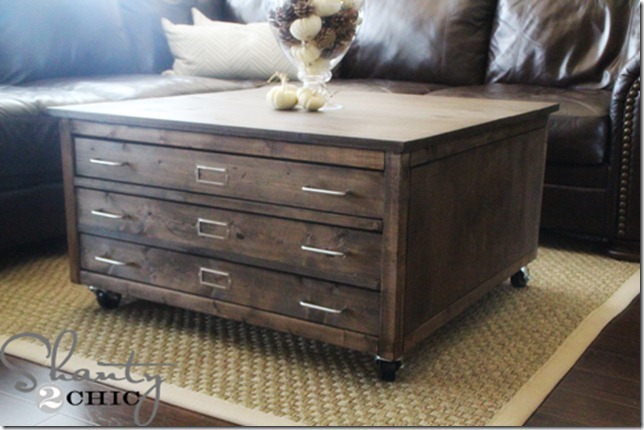 Another factory cart coffee table design! This one includes nautical rope handles so you can easily move the table where you'd like! 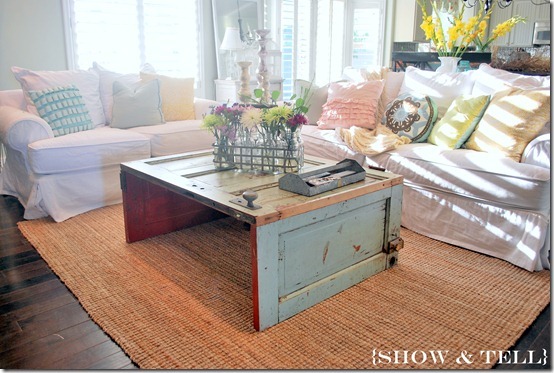 Salvage that old shutter from the thrift store or from your neighbor's trash and turn it into a chic and original DIY coffee table! 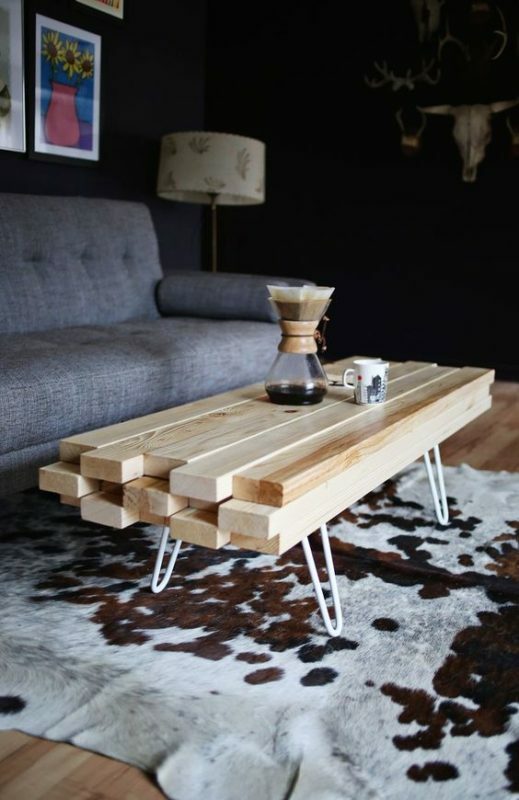 Check out this stylish and cool DIY coffee table that you can make out of industrial piping and a wooden slab top! 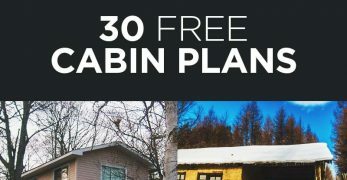 A little bit more of an advanced project but if you have the ability to build this beauty then do it! It will be your new favorite furniture piece! 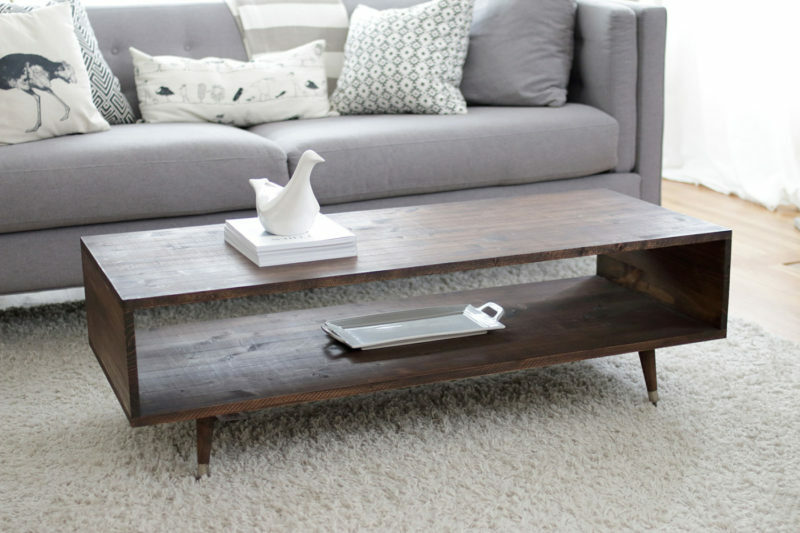 No welding needed to complete this minimalistic coffee table project. A lovely aluminum bass and a wood slab top! 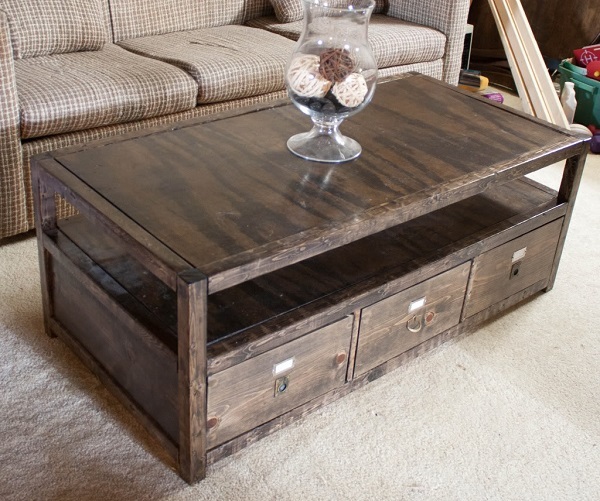 A great farmhouse coffee table that will serve you well for years to come! 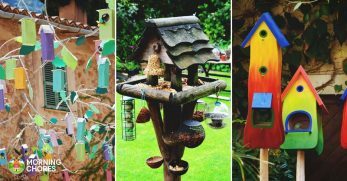 A charming design and a fun project. 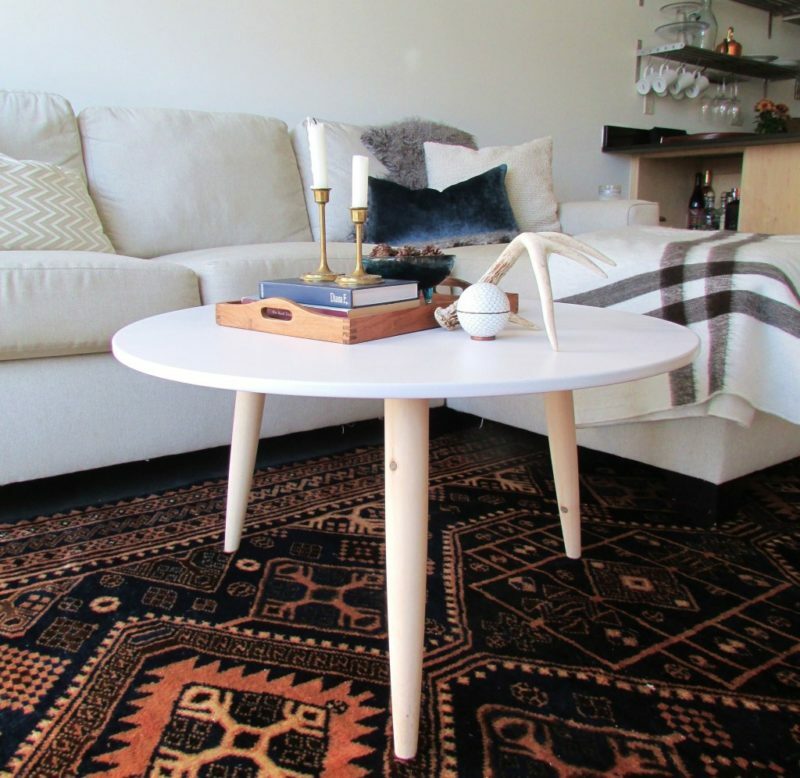 This coffee table has retro hairpin legs and a gorgeous tiled top! 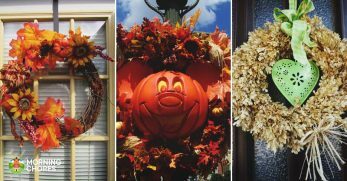 It would look perfect on the front porch or the backyard patio! 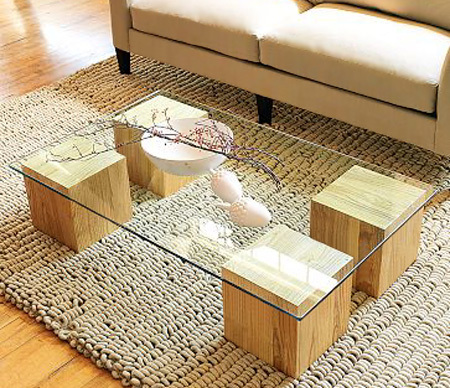 A coffee table can be as simple as a glass slab placed on top of four wooden boxes! No carpentry skills needed for this one. 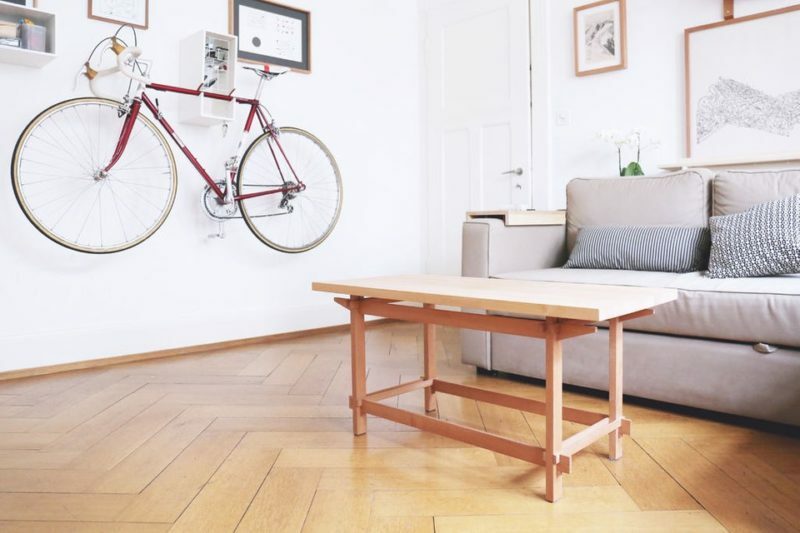 The Danish have got style and this Danish-inspired DIY coffee table will represent how much in your living room! 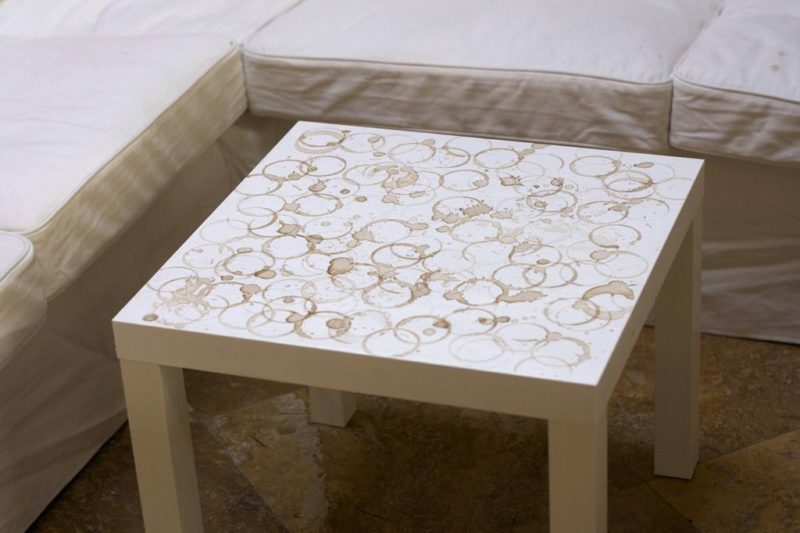 Stop worrying about making a coffee stain on your coffee table, instead, make it part of the design! 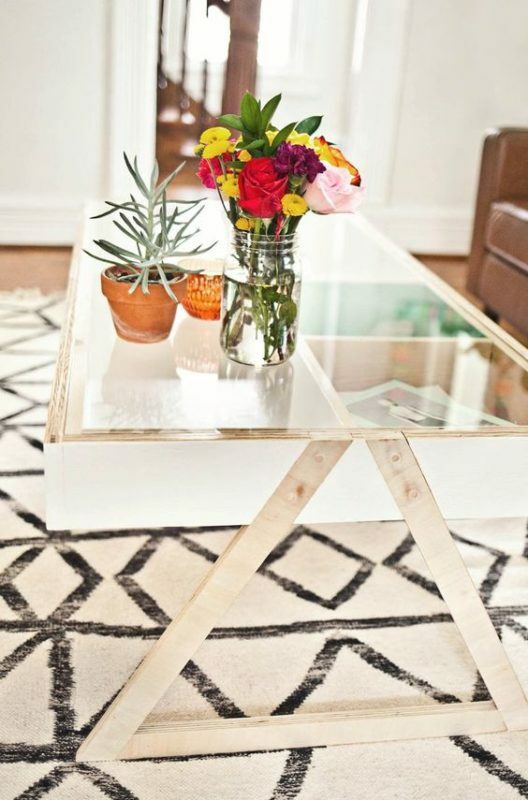 A cute way to decorate your DIY coffee table. 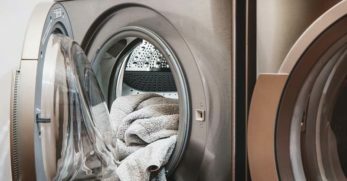 Keep your living room clean and tidy by tucking away your board games, magazines, remote controls or whatever else you have laying around! 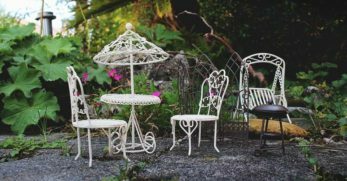 Have a place to store your outdoor patio furniture in case it rains or it's getting a little too windy! 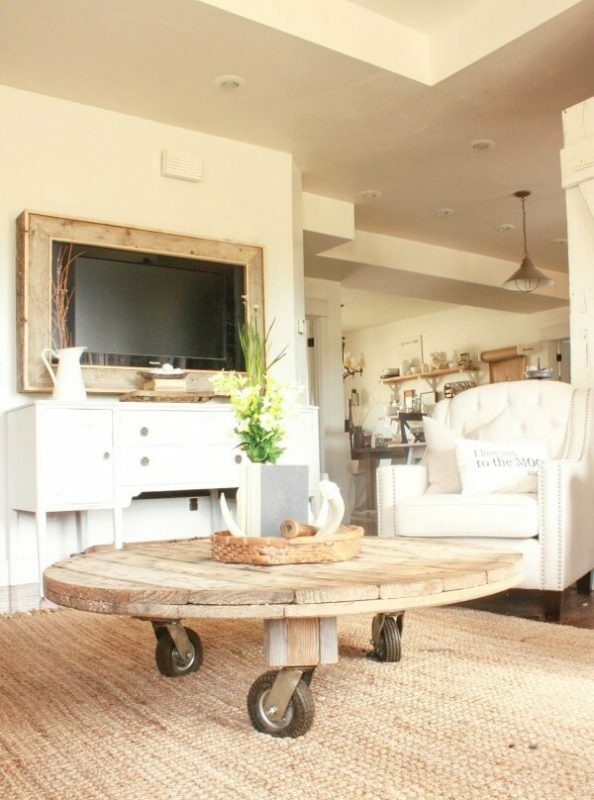 This rustic coffee table is perfect! Are you a collector? 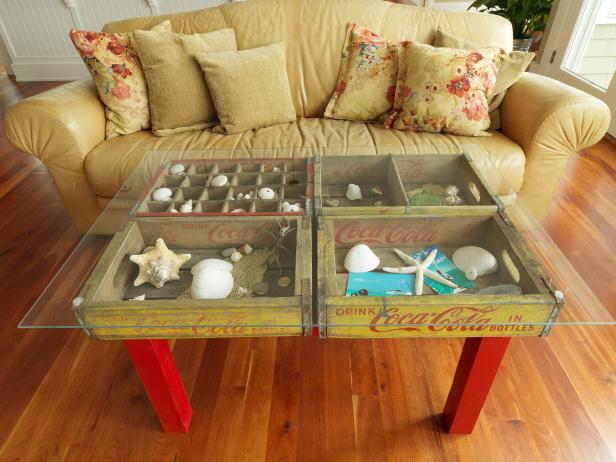 Show off that rock collection, stamp collection or your abundance of seashells in a vintage shadowbox coffee table! 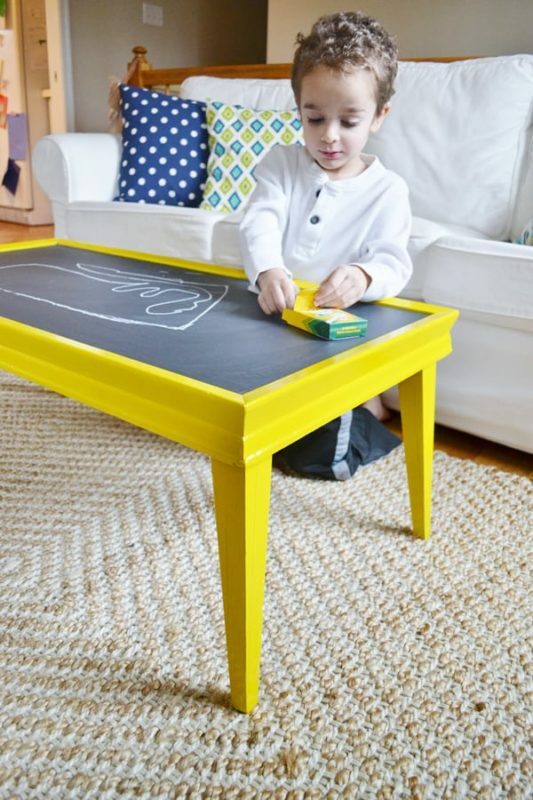 Your kids will never get bored waiting for their afternoon snack while they are doodling on the coffee table! A very minimalistic design that will do its job by holding your coffee but not get in the way. It's lightweight and looks great. I am absolutely in love with this retro-chic DIY coffee table that has a unique shape and a gorgeous wooden table top! 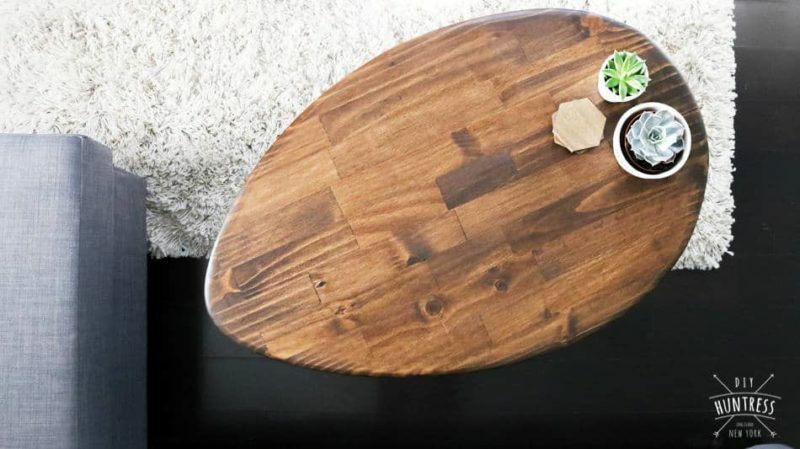 This gorgeous and classy coffee table could cost you as little as 100 bucks to make! Can you believe it? 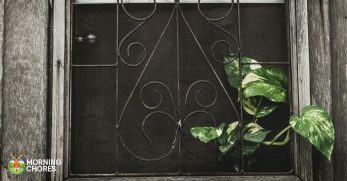 Turn a salvaged door into something useful again by chopping, painting and putting it back together into a coffee table! 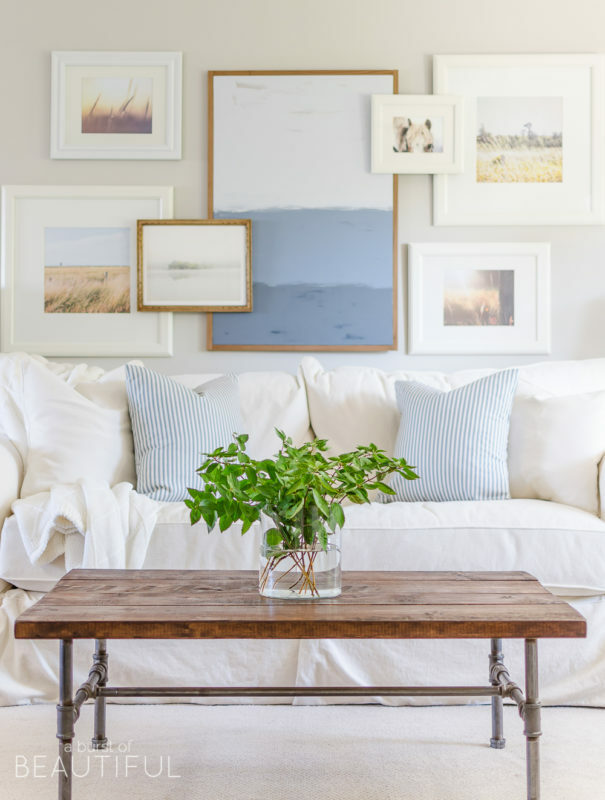 You can upholster an old coffee table or one that you've built to blend in with the furniture and to give it a pretty look! Although it looks like a whole collection of twigs and branches that you found outside it's actually just stuck onto a wooden box! 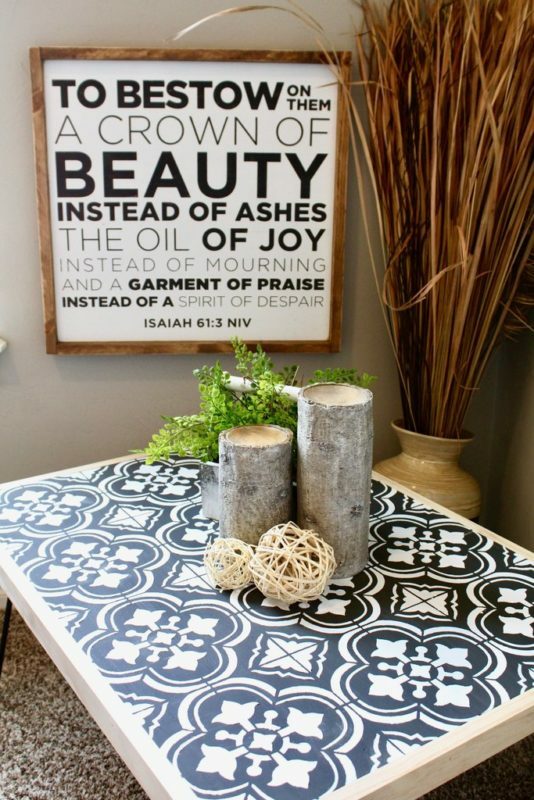 Add a funny or inspiring quote to your DIY coffee table so you can start your day off right. 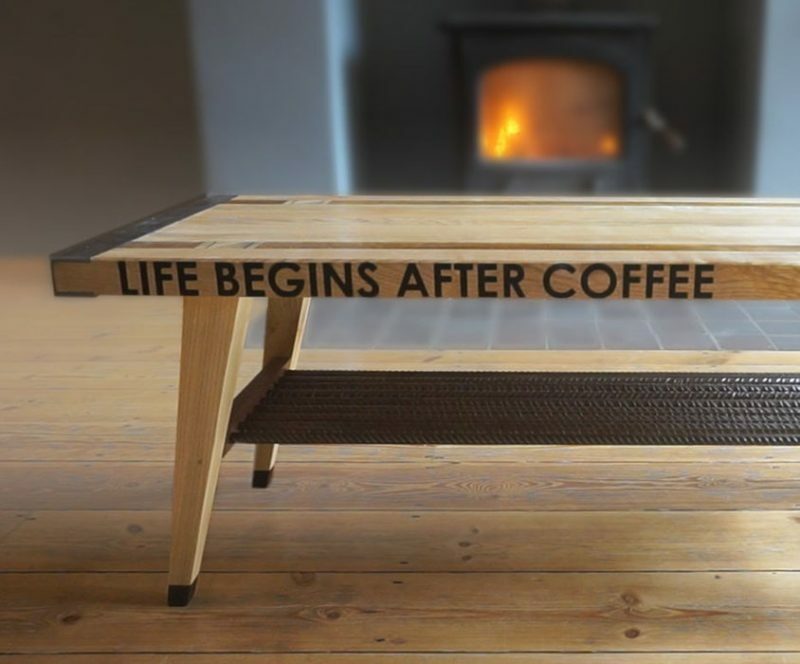 For example “life begins after coffee”! 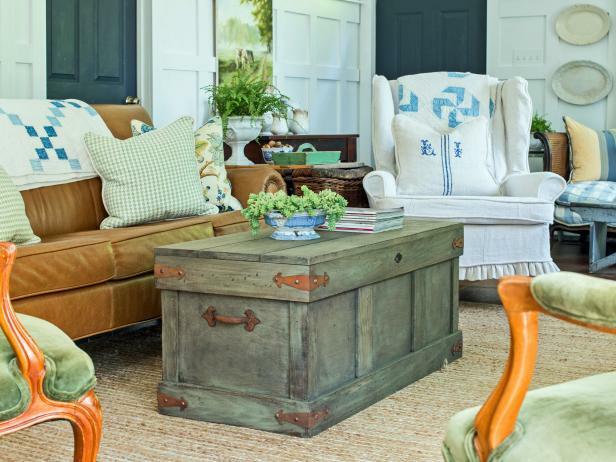 This coffee table looks like you bought it at an antique shop or got lucky at a garage sale. 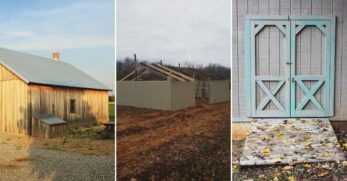 However, you can proudly admit that you built it yourself! 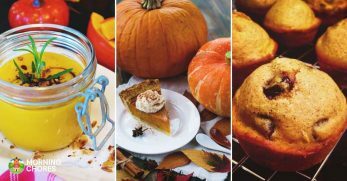 You don't need to get out the needle and thread to complete this project! 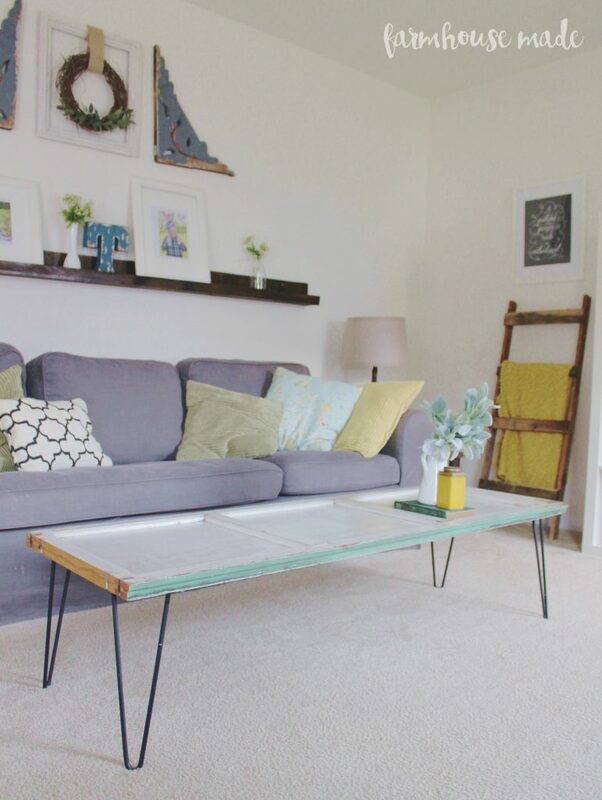 Upholster your coffee table without any sewing! 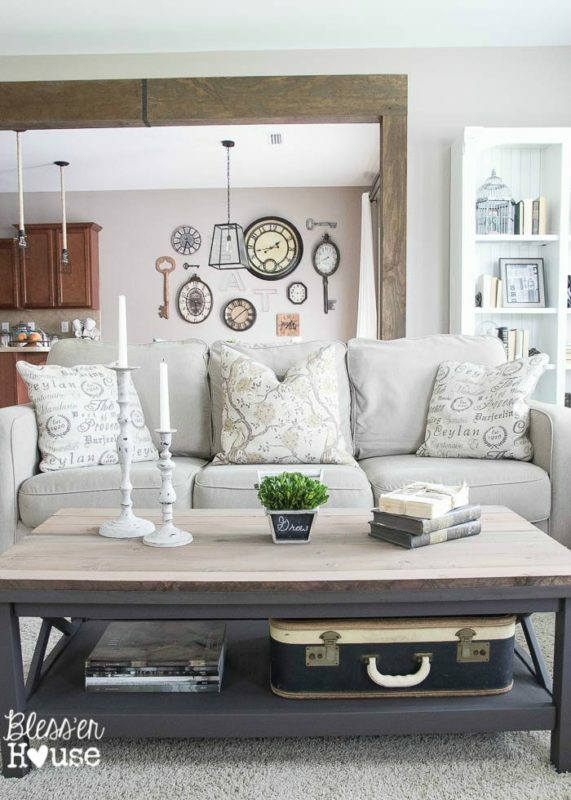 Start collecting your old barn wood so you can create a rustic and chic coffee table to complete your living room makeover! 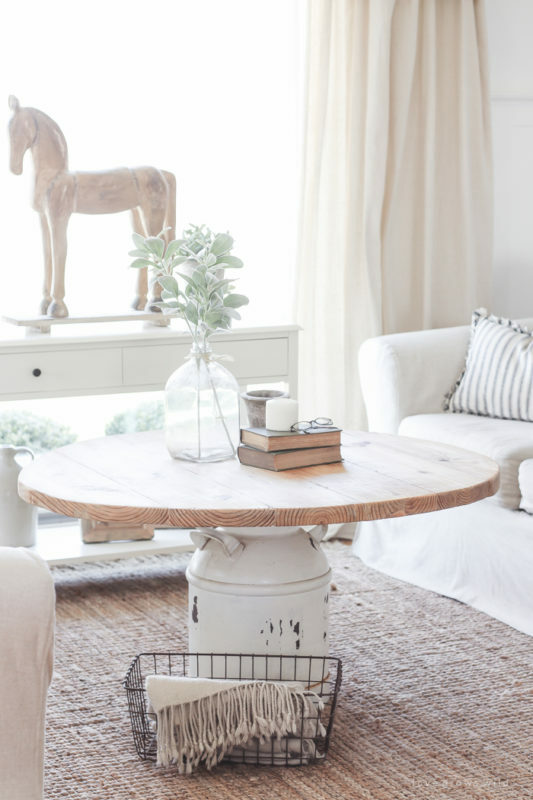 A chunkier type of coffee table with a beautiful farmhouse look. X accents on the side and lovely wooden slab on top. 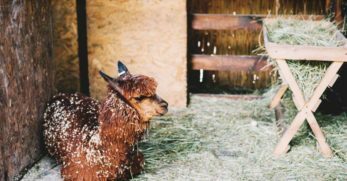 This should go very well with your farmhouse style dining table. 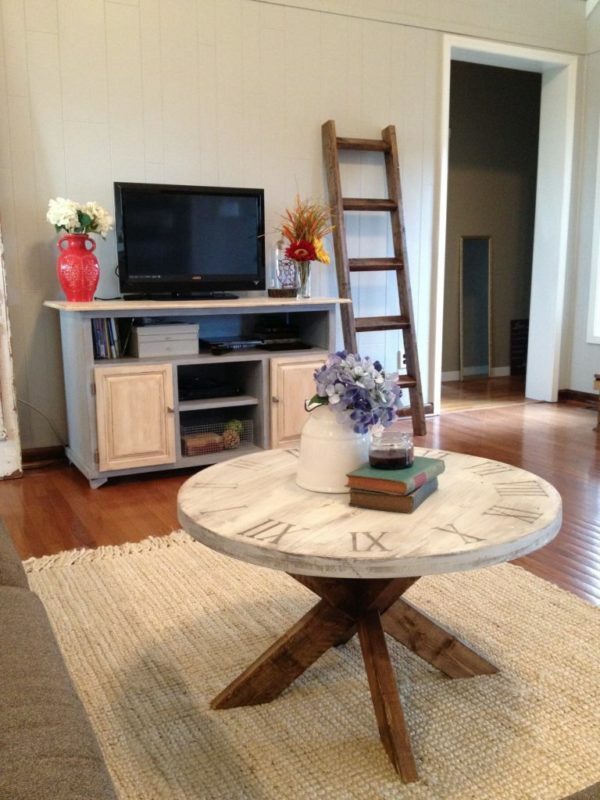 An old wire spool can become a new functional coffee table! Adding wheels makes it easily movable! A beautiful fabric tufted ottoman can become a stylish and useful coffee table with a bit of effort and some creativity. 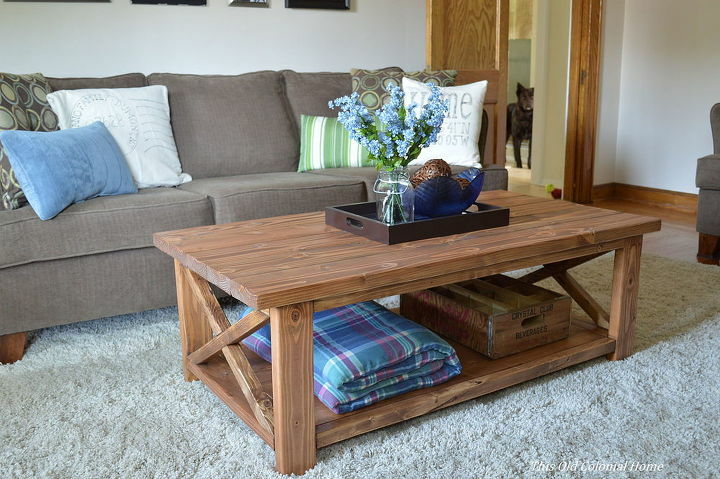 This DIY coffee table is made by using pallet wood to form the table and painting pre-made table legs a bright color as a base! 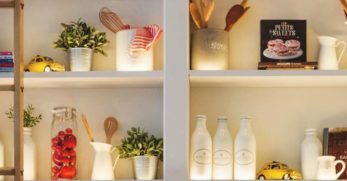 Search the local thrift store for a unique vintage piece that you can use as a table base, like an old milk can! 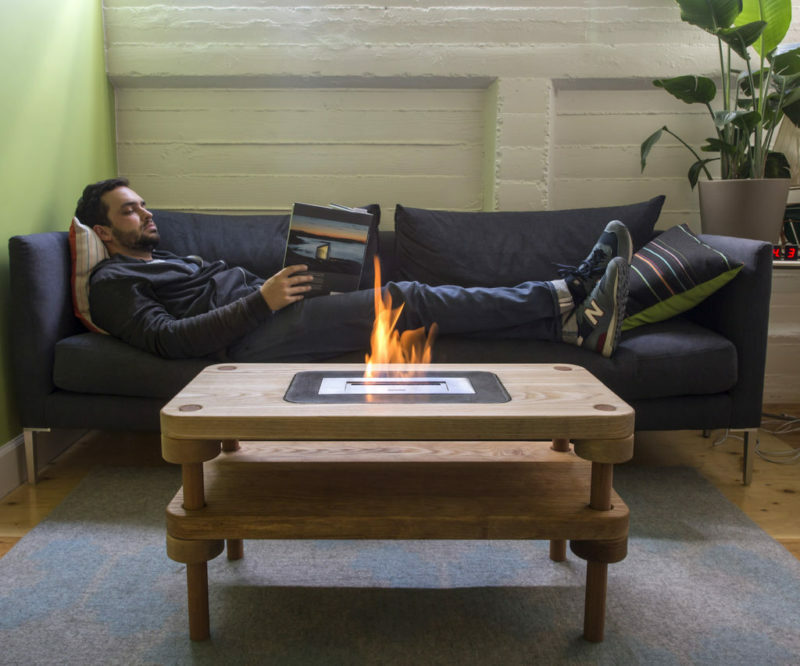 You can make this coffee table? You bet you can! 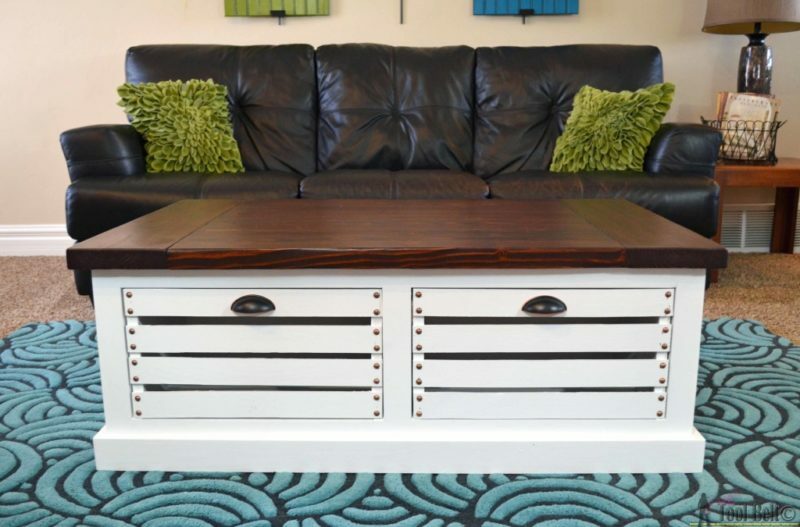 With a bit of effort and some patience, you'll be admiring your new coffee table in no time! 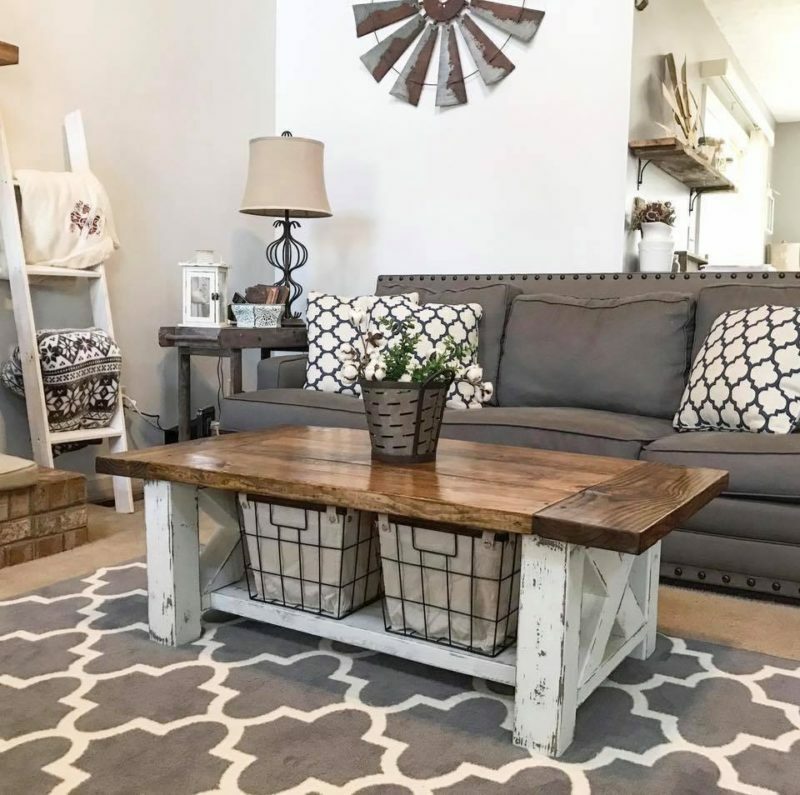 A chunky farmhouse DIY coffee table with a space underneath for storage baskets to keep your living room clean and tidy. 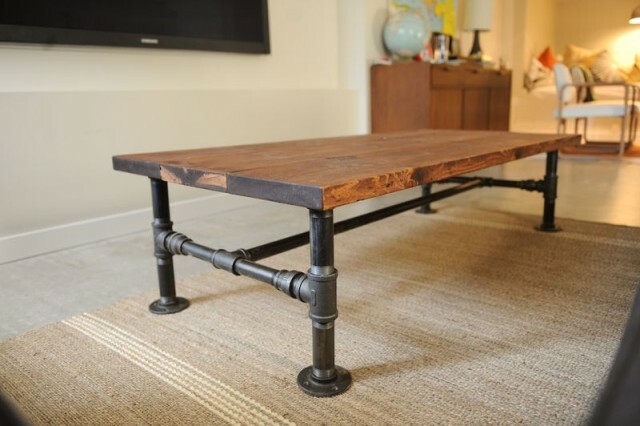 Another rustic DIY coffee table that combines cool steel with warm wood to form an eye-catching and impressive table. 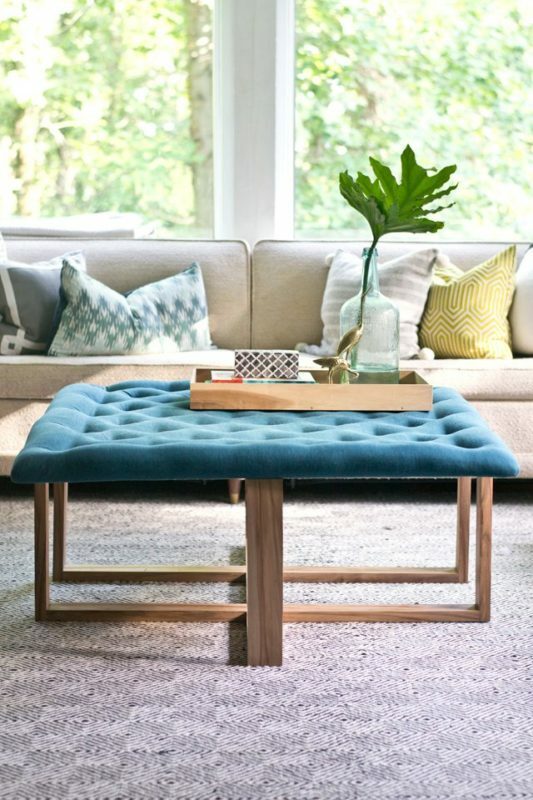 A coffee table the doubles as a bench in case you have a lot of unexpected guests visiting! 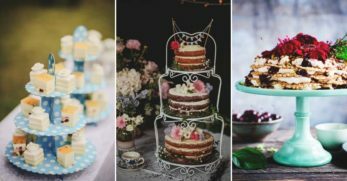 Shabby chic and pretty too! This build is so awesome and will completely impress your friends when you tell them you built it yourself! 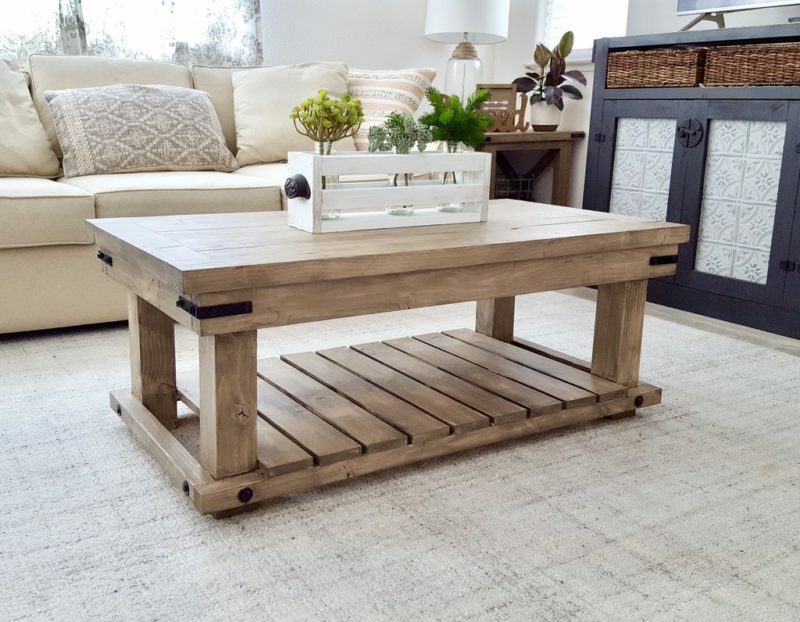 Charm (and impress) your guests with this industrial-style DIY coffee table while also adding a nice place to rest your coffee cup! 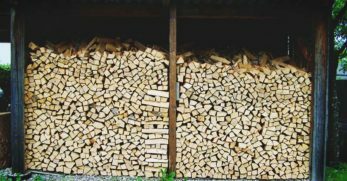 A natural look by leaving 2×4's as they are. 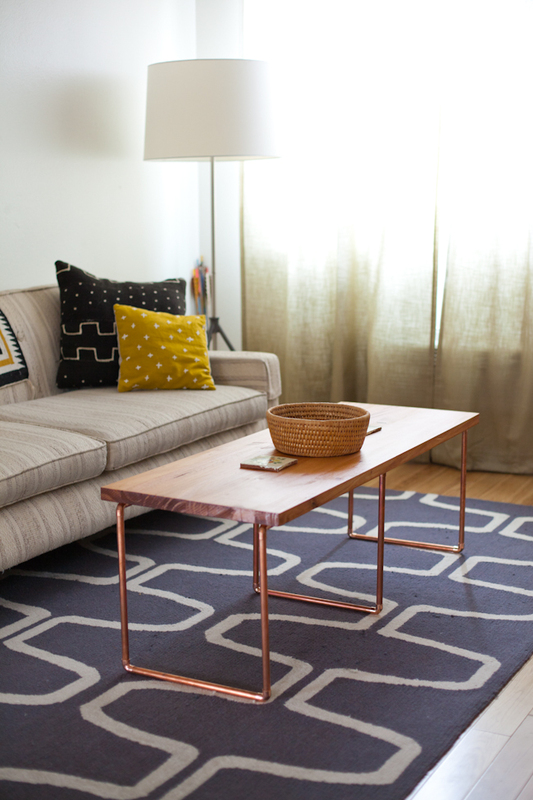 This cool modern DIY coffee table will be a stylish addition to your living room. 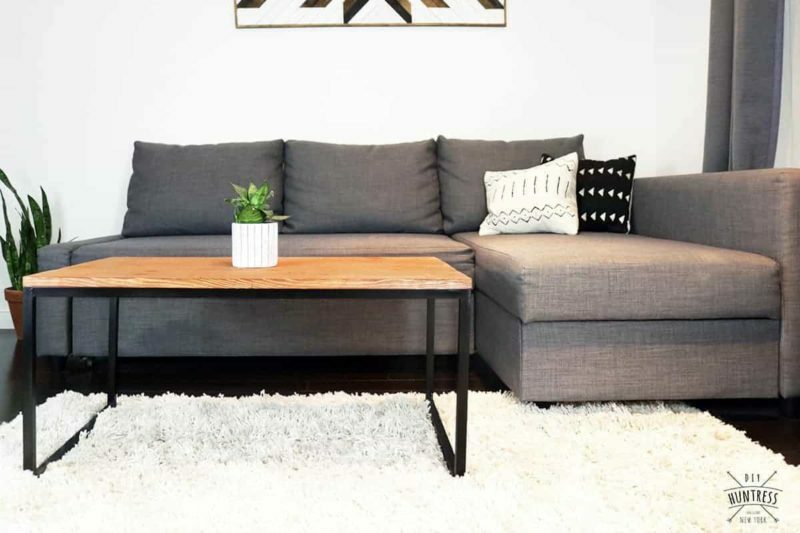 Modern and chic with form and function, a great DIY coffee table project to tackle this weekend with the hubby or the bestie! A different looking table that could serve well as a coffee table or kids dining table! 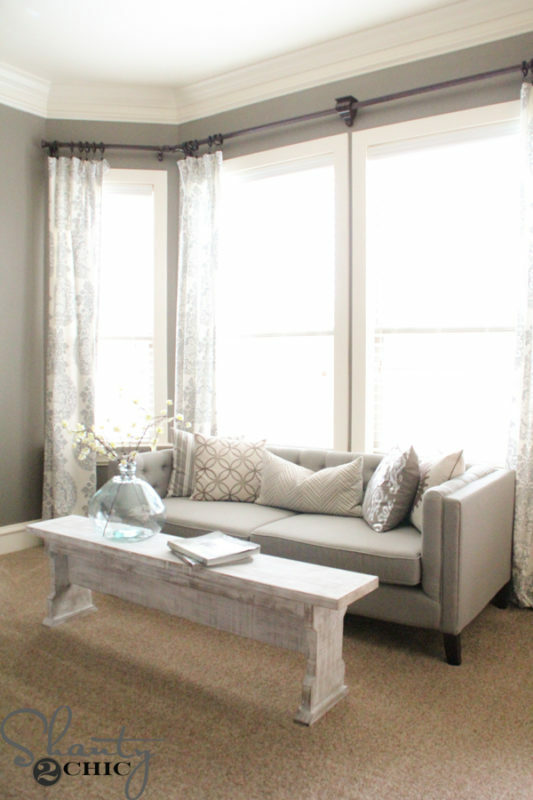 Paint it a beautiful color or leave the natural wood look. 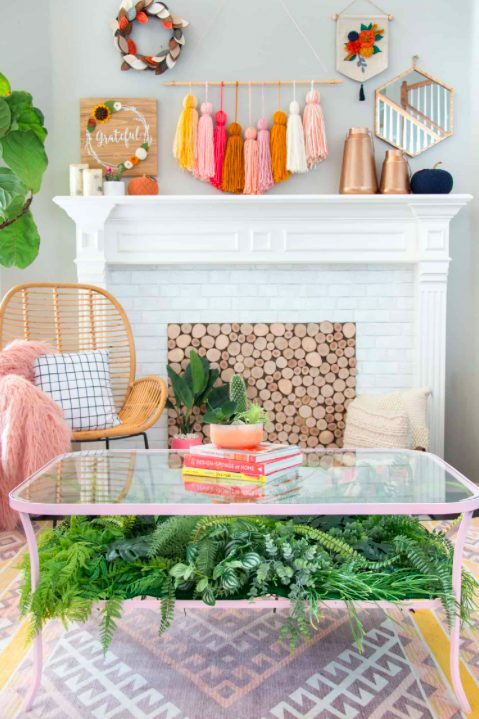 It would be amazing to have a living coffee table but it could make things a little messy… Get the same look with faux plants! 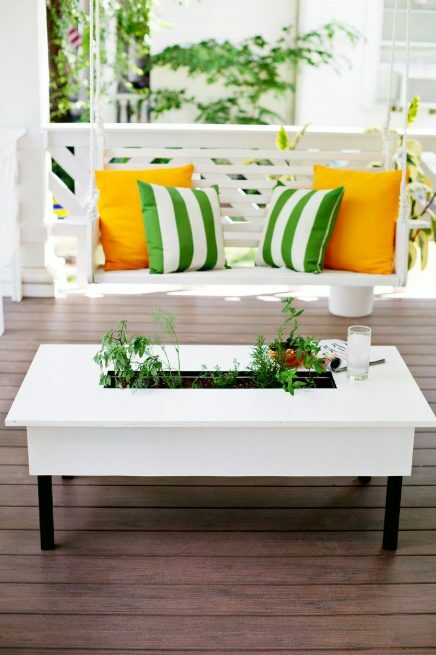 Need an extra table for your outdoor living space? 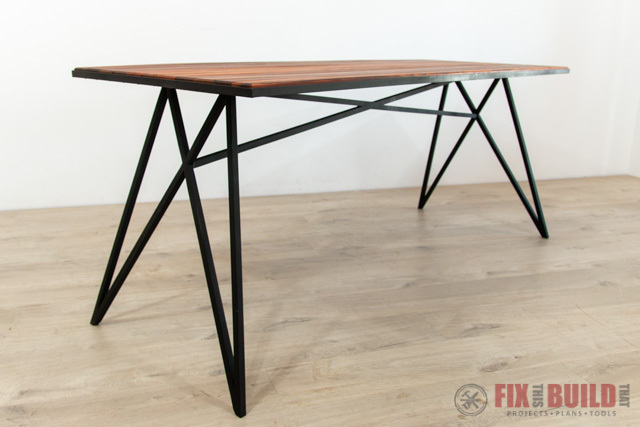 This modern wooden and metal coffee table is a fun project! 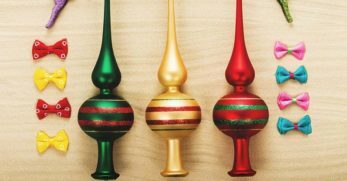 Are you a puzzle master or obsessed with board games? 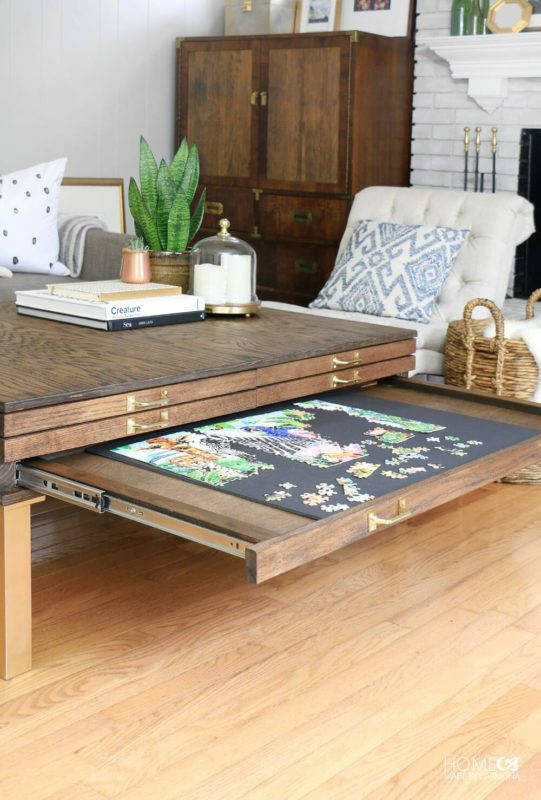 This is the ultimate coffee table for storing all your cards, crafts and coloring! 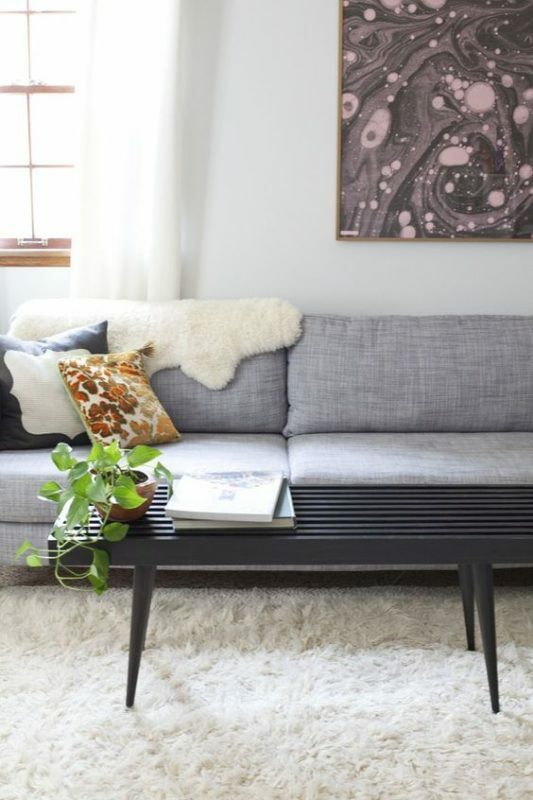 You can build this mid-century coffee table for under 100 dollars! Can you believe it? Just a bit of effort and patience is all it takes. 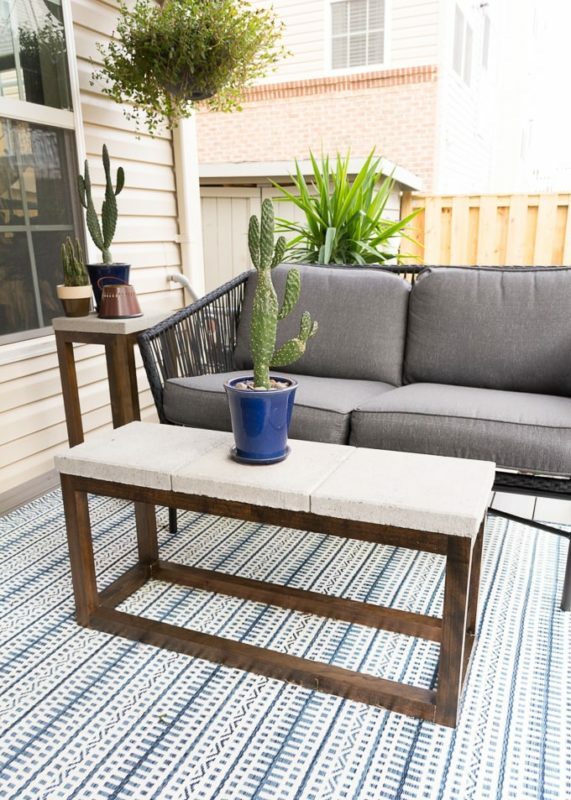 A wonderful outdoor coffee table for your front porch or patio that uses a wooden base and concrete pavers as the table top. 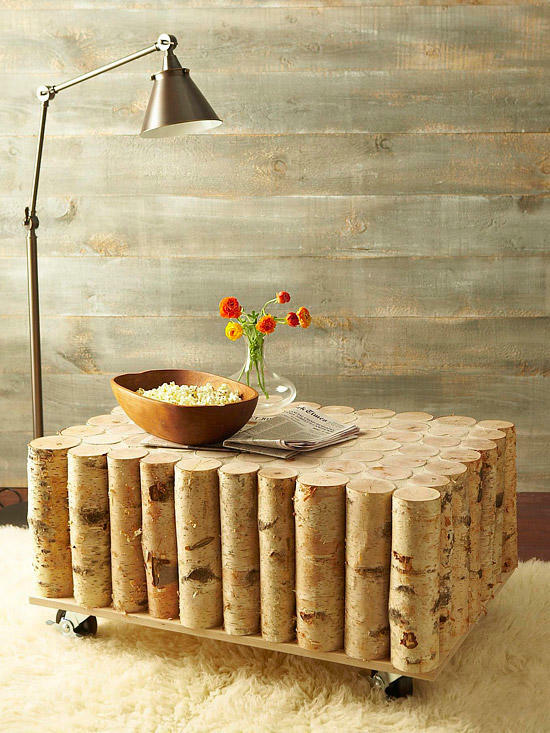 This coffee table is one for the books! It's not only a stylish coffee table for the adults, a perfect play table for the kids but also a storage unit for their toys! I am absolutely in love with this hip and adorable coffee table that has a terrarium integrated into the middle and light hairpin legs. 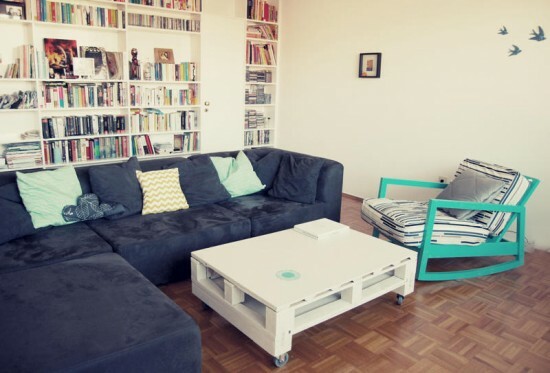 Store your magazines in sight and show off your stamp collection while also creating counter space in your living room. Are you impressed? I know I am! 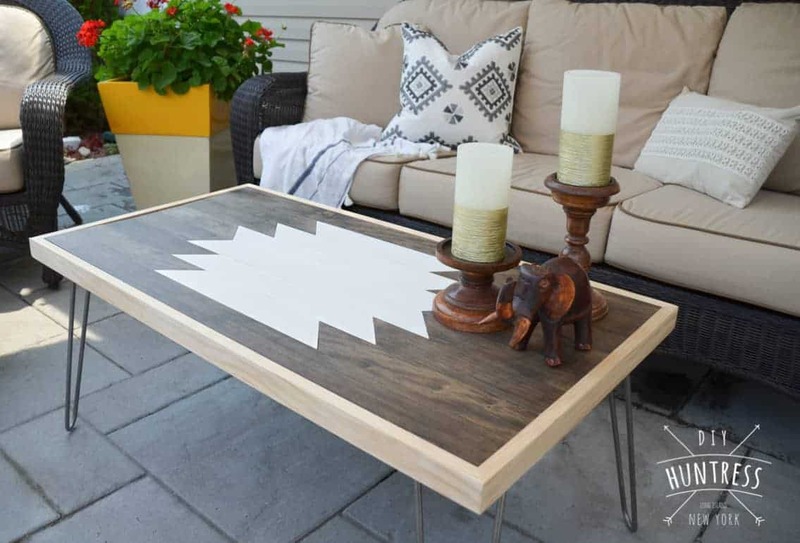 Designing and making a coffee table can be a complicated yet cool experience, and depending on which DIY coffee table idea you pick, it could also be a quick and easy project! 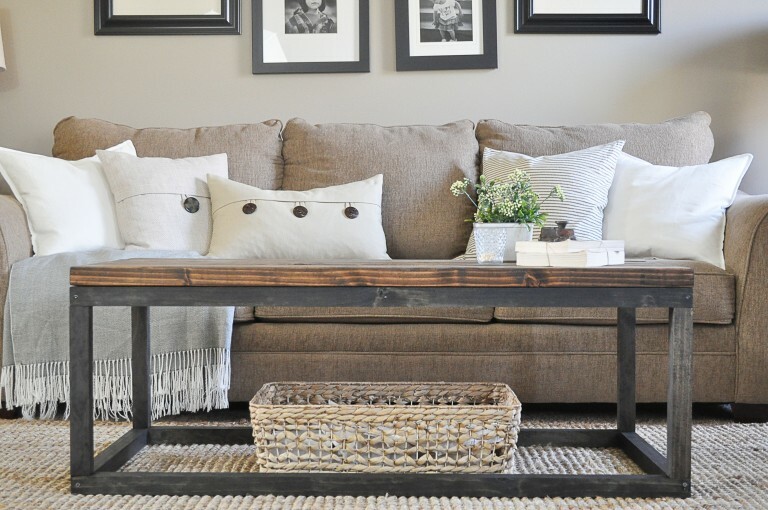 Decide what you're looking for for your home, and pick your perfect DIY coffee table here! 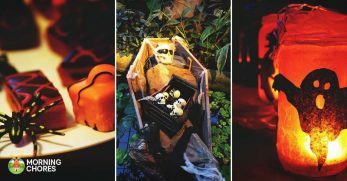 We saw simple and minimalistic coffee tables, abstract and interesting ones, rustic and charming tables and even kid-friendly ones! 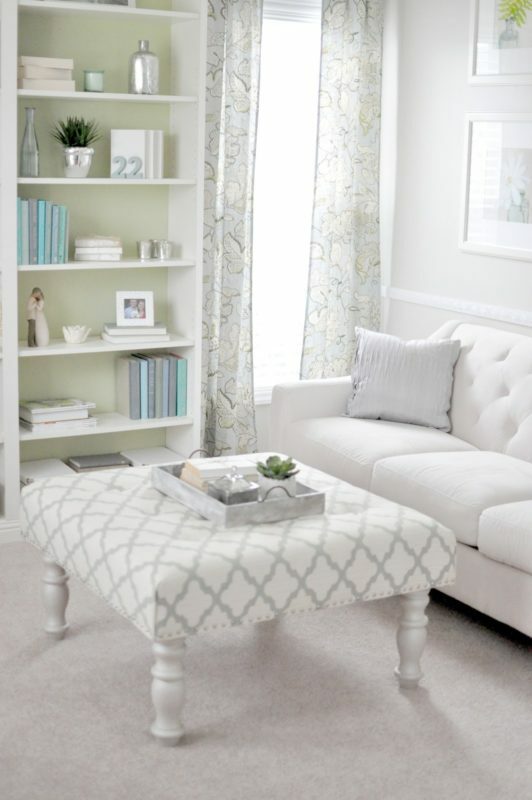 Take a look at your living room and try to imagine what kind of coffee table would fit. Maybe one with extra storage? 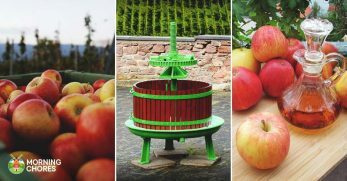 Maybe something that's lightweight and easily movable? Now all you have to do is choose!